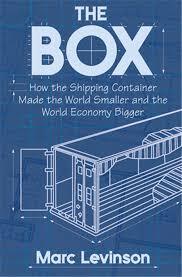 One of my favorite globalization books is The Box: How the Shipping Container Made the World Smaller and the World Economy Bigger by Marc Levinson. It is the story of how the invention of the standard shipping container (those 20-foot steel boxes you see on ships, rail cars and truck beds) made international trade much cheaper, more efficient and more secure. Now it looks like another kind of box is about to shake up the wine world. I’m talking about box wines or bag-in-box (BIB) wines (the Australians call them cask wines) that feature an airtight wine-filled plastic bladder inside a cardboard box. You use a built-in spigot to get to the wine. They can be found on the bottom shelf of the wine wall and behind the bar and out of sight at your local restaurant. They come in several sizes — 3 liter and 5 liter containers are the most common. Box wines have a bad reputation. They first appeared in the 1970s and were filled with generic bulk wines. They were one step down from the popular 1.5 liter “magnum” bottles of “Burgundy,” “Chabils” and the notorious “Rhine” wine. Box wine was cheap, nasty stuff that acquired a frequently deserved bad reputation. It’s time to reconsider box wine. Screw caps had a bad reputation, too, until quite recently. 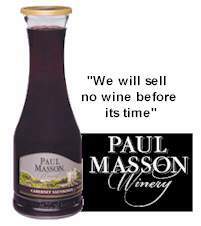 We associated them with low grade swill until fine wines appeared under screw cap (the New Zealand producers were in the vanguard) and we began to appreciate that that screw caps have many advantages. 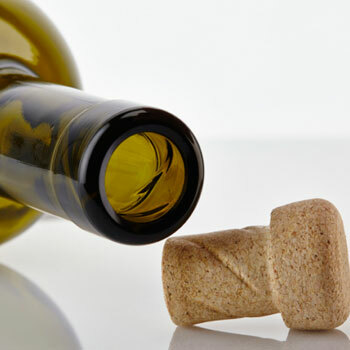 Now screw caps are actually associated with quality for some types of wine, especially youthful whites, and no one expects to pay less or get less because of the screw-top closure. The technology of box wine is very solid. The airtight bladder is a neutral container that is well suited to holding wine for relatively short periods of time. (Don’t cellar box wine — consume within a year of production — check out the “drink by” date on the box.) The bladder and spigot do in fact protect the wine from oxygen in the short run, so it will last longer once opened (especially if the box is stored in the fridge) than similar leftover wine in bottles. Bladders are so good at the particular thing that they do that they have become an industry standard technology for bulk imported wines, which are shipped in huge bladders inside steel shipping containers (big bag in big box) and then bottled in the import market. So you may already be drinking box wine and not know it. The most recent Nielsen retail wine sales figures (reported in the October 2009 issues of Wine Business Monthly) suggest that box wine sales are growing. Wine sold in 3, 4 and 5 liter containers (most of it is box wine, I think) accounts for just under 10 percent of US supermarket wine sales, according to the Nielsen data (compared to 65% for standard bottles with the remainder in 1.5 liter and other formats). Sales are rising in this category, with 3 liter packages up 8.7% in the last year on a dollar basis, for example, and 5 liter packages are up 9.3% by value. The total market for box wines rises if we include on-premises sales. Recent data (see previous posts) indicate that box wines (served to customers in carafes and by the glass) are strong sellers in casual dining establishments. The rise of box wine is part of the trading down effect, clearly, since most box wines fall into the two price categories that are experiencing the highest growth. Sales of wines that are less than $3 per 750ml bottle equivalent have risen 7.1 percent according to Nielsen and by 10% for wines between $3 and $5.99. Supermarket sales of $20+ wines, on the other hand, have fallen by 3.4%. Does this mean that Americans have traded down all the way to the bottom, back to the nasty box wines of the 1970s? The answer, incredibly, is no. Or at least not necessarily, according to the October 15 issue of Wine Spectator. 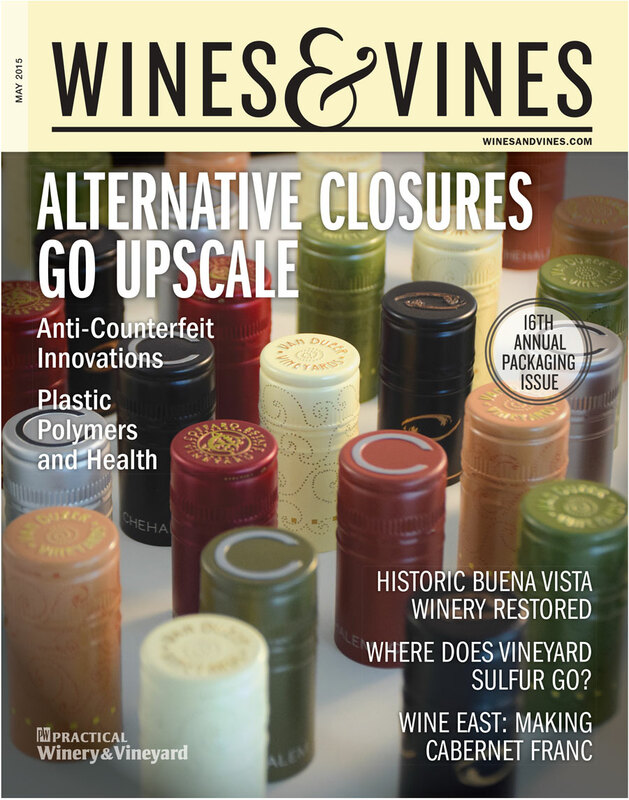 You can’t miss this issue on the newsstand — it features a cover story on “500 Values for $20 or Less” and includes a set of box wine reviews that make interesting reading. Wine Spectator purchased 39 box wines in packages that ranged from 1 liter to 5 liters. Twenty seven wines were rated as “good” (a score of 80-84) and ten “very good” (85-89). The names of the 2 wines that scored below 80 were not reported. The top box wine, going by the rating numbers, is a white: Wine Cube California Chardonnay, which sells in Target Stores for $17 per 3 liter box, which is $4.25 per standard bottle equivalent. It earned a very respectable 88 points. 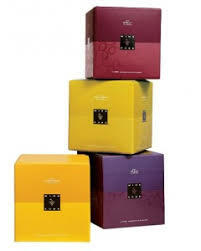 Wine Cube is a partnership between Target and Trinchero, the maker of a wide range of wines including Sutter Home. The best red wine (at 87 points) is the Black Box Cabernet Sauvignon Paso Robles 2006, which costs $20 for 3 liters or $5 per standard bottle equivalent. Black Box is a widely distributed Constellation Brands product. Some box wine, apparently, is both pretty good and pretty cheap. Perhaps just to show that they really do rate wines blind, Wine Spectator gave a pretty good 84-point score to a non-vintage Carlo Rossi Cabernet Sauvignon California “Reserve” wine. Five liters for $13, in case you are interested, That’s $1.97 per standard bottle equivalent. How can decent wine be this cheap? One answer, of course, is that you can choose to make the wine itself less expensive by economizing in the cellar in many ways (less oak or none at all for red wines, for example). But to a considerable degree the box itself is responsible for the savings. The bag in box container costs less than $1, according to the Wine Spectator article, which automatically saves $4 to $8 compared with a similar quantity of wine in standard glass bottles and the box they come in. Shipping costs are also less since the boxes weigh much less than glass bottles for the same quantity of wine and are less likely to be damaged in transit. There are environmental benefits too, especially in areas where glass bottle recycling is problematic because the sour economy has undermined the market for recycled glass. Is box wine the future of wine? No. The wine market is too complex to be dominated by any single trend. But with better wine in better boxes (and with consumers embracing a more relaxed idea of wine) box wine deserves to play a bigger role in the future of wine. Another triumph for The Box! November 1, 2009: I was recently interviewed about box wines by Simon Morton of Radio New Zealand’s This Way Up . Click on the link to listen to the interview. Old Europe is afraid of change, afraid to take chances. That’s what President Bush is supposed to have said a few years ago in a conversation almost certainly not about wine. Why the French, he said, they don’t even have a word for entrepreneur! Boisset Family Estates is a multinational wine company with roots in Burgundy and interests in Italy (Batasiolo) and California (several properties including DeLoach and Lyeth). I follow Boisset because it seems to me that they are real entrepreneurs — moving in many directions at once, reflecting the many forces at work in wine world today. The Wine Star 2008 award highlights sustainability-driven innovations, for example, but Boisset is also moving seriously toward biodynamic viticulture (at DeLoach, for example) and experimenting with new marketing models. It’s easy to be cynical about wine innovations, but it is pretty clear that new ideas can prevail in the wine market if they are very good ideas. And if the time is right. This is the lesson the screw cap’s success. Maybe more environmentally friendly “bottles” will be next. 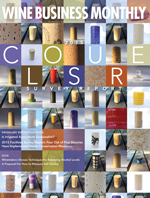 Jean-Charles Boisset argues that using traditional glass containers with cork closures makes little sense — either environmentally or economically — for most of the wine sold today. He observes that at least 70 percent of wine retails for $12-$10 or less (probably much more than 70 percent, I suspect) and 70 percent is consumed within three hours of purchase. Finally, 70 percent of the production cost of these low price wines is in the packaging, not the wine itself. These wines are quotidian pleasures, purchased for quick consumption. 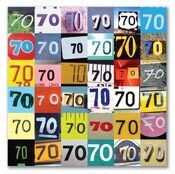 Heavy, expensive “traditional” packaging makes little sense for 70-70-70 wines. Producers, consumers and their environment would all likely benefit if these wines were packaged and sold in ways that reflect their real consumer product function, not a false elite identity. Wine will have come of age, some argue, when it no longer needs the borrowed prestige of the heavy bottle or a faux-tradition label. What I most appreciate about Boisset is the fact that it is difficult to put the company in a box. Is it an Old World winery? Well, yes of course, based on geography. Is it New World? Well, yes but not just because it owns properties in California. Its marketing innovations have a distinct New World flavor and its entrepreneurial spirit would make Adam Smith smile. There is nothing particular Old World about quality and terroir or New World about innovation. It’s all part of the blend and always has been — even in France. No wonder they have a word for it.